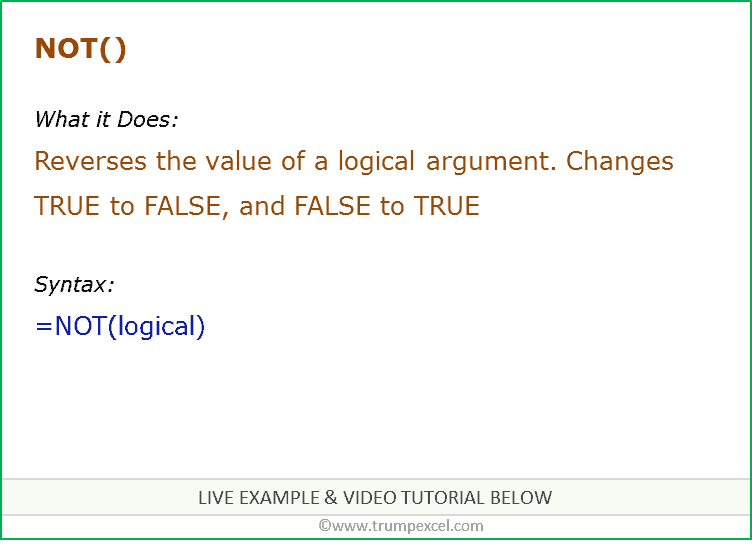 It can be used when you want to reverse the value of a logical argument (TRUE/FALSE). It returns a logical argument which is the reverse of the logical argument used within the NOT function. For example, =NOT(TRUE) returns FALSE and =NOT(FALSE) returns TRUE. logical – A value or expression that can be evaluated to TRUE or FALSE. You can check expression with NOT function that evaluates to TRUE or FALSE. For example, =NOT(1+1=2) would return FALSE. It converts TRUE to FALSE and FALSE to TRUE. The argument within the function can also be a result of some other function(s) that results in TRUE/FALSE. 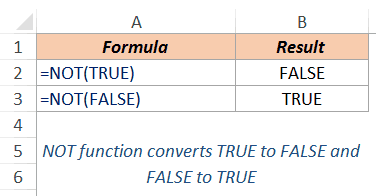 If used with a formula result (that returns TRUE/FALSE), it converts TRUE to FALSE and FALSE to TRUE. In the above example, the value is A2 is compared with a number (that returns TRUE if the condition is met, else FALSE), and NOT function is used on the result of the comparison. 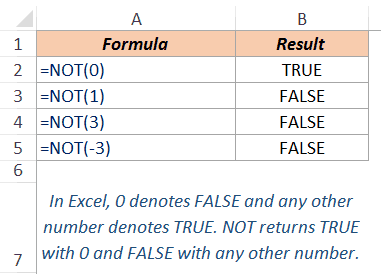 In Excel, 0 denotes FALSE and any other number denotes TRUE. 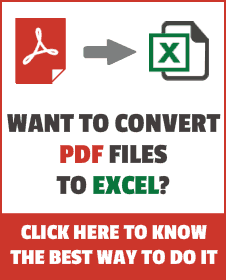 Excel NOT function converts 0 (which is FALSE) to TRUE and any other number to FALSE.